It’s my birthday today, so I probably won’t be posting my next update until tomorrow at the earliest. During my morning coffee/infoscan, though, I ran across an interesting factoid I thought I’d share. And who/what else is associated with Appleton, Wisconsin? Leo Wanta. Now this is one piece of info from the largely fictional and overhyped Wanta bio that actually rings true: he was a low-level informant who helped the FBI spy on a patriot group. A connection between Wanta and COINTELPRO makes a lot of sense given the kind of propaganda he and his co-conspirators in the Veterans Today disinfo network are spreading around. As a general rule, anyone who is actively promoting Leo Wanta to the awakening public is either a government shill or someone who bleeds Kool Aid (because they’ve drunk so much). Specifically, there is an article that Story wrote on January 7th regarding “OPERATION STILLPOINT.” Now, what is that? “OPERATION STILLPOINT” was something that Story uncovered through his on investigative journalism research and his work with Leo Wanta. This is in fact, something that really has changed the game, bringing Wanta into the equation. He came forward and was trying to get people hip to the idea of disembodying the Federal Reserve, putting everybody on US Treasury Notes, printed by the US Treasury in accordance with the Constitution. As I indicated in the above introduction, Fulford also called special attention to a critical January 7th article by Christopher Story, independently validating that it was true. This is all part of the grand back-story where the Rockefeller faction betrayed and broke off from the Rothschild faction. Wanta sided with the Rockefellers to help assist in massive money-laundering campaigns. So according to Fulford/Wilcock, Wanta’s BS is real, he used to work for the Illuminati, and he broke ranks with them at some point (so he is a “good guy” now). In upcoming entries on Leo Wanta and Veterans Today, I’ll show why this is all nonsense meant to sow confusion and promote acceptance of the (very unified) Illuminati’s multilateral/multipolar NWO. 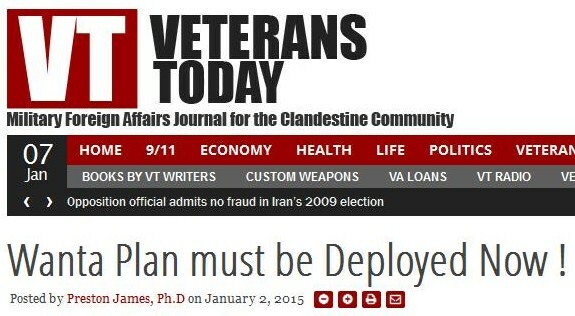 This entry was posted in David Wilcock, Globalist Disinfo, Veterans Today on January 7, 2015 by kenneth.